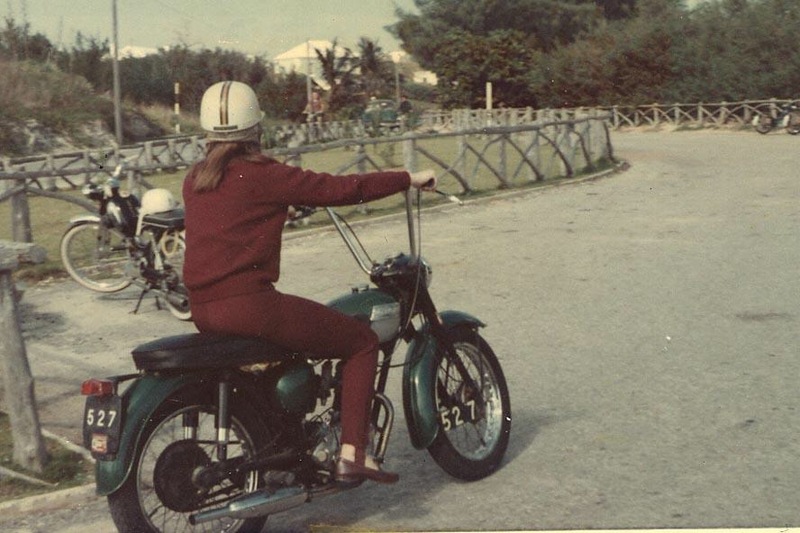 Raccoon Tail – the inked lady with platinum blonde ponytails has a cheery disposition with the aptly sized cherry red ’64 Tiger Cub. 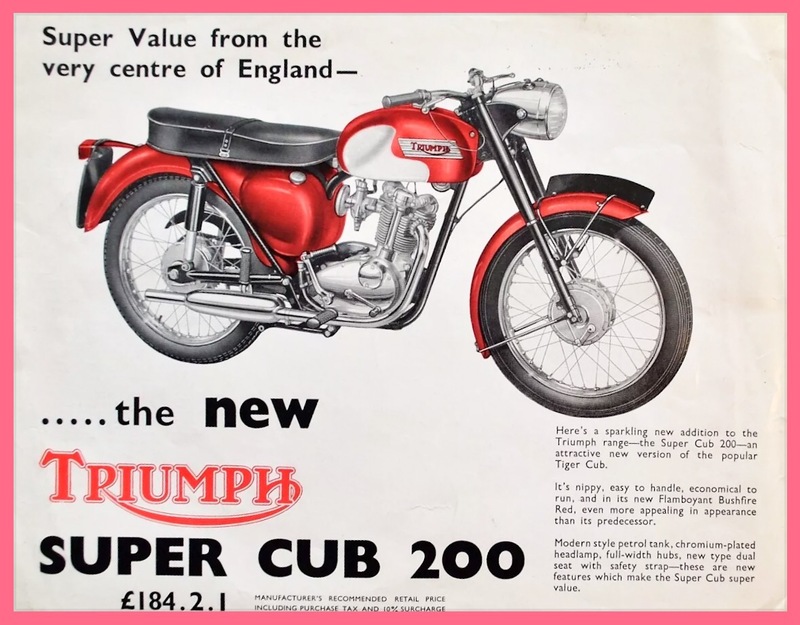 Che – standing in proud resolution as if photographed by Alberto Korda, who captured the famous Ernesto Guevara image, this Triumph Cub evokes its mid Century heritage. The black headlight nacelle is elegant engineering against the steel blue tank. 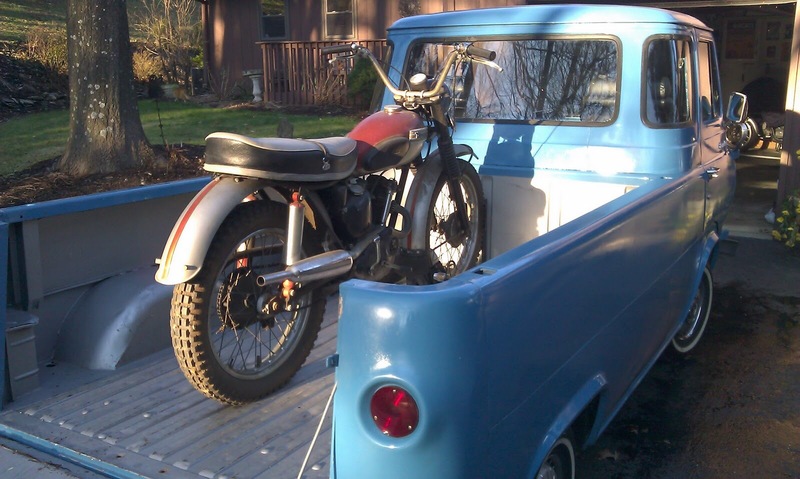 Truckbed Baby – evening sunlight warms the time-worn patina of what looks like a Triumph Cub in original condition. Over half a century of barn dust. The sky blue Ford Econoline is a perfect tote for the scooter. 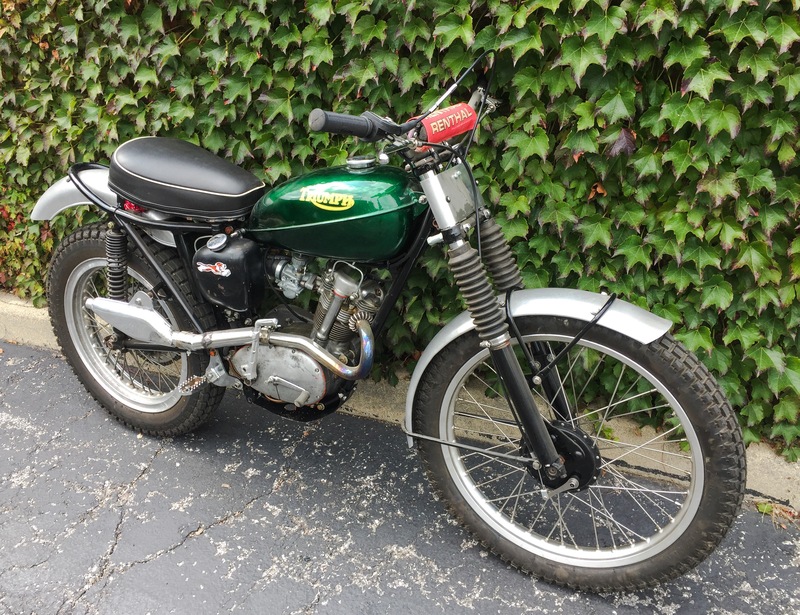 When the Bike comes in. The Days Catch – An all washed up, seaweed covered, rusted, beach combers find. 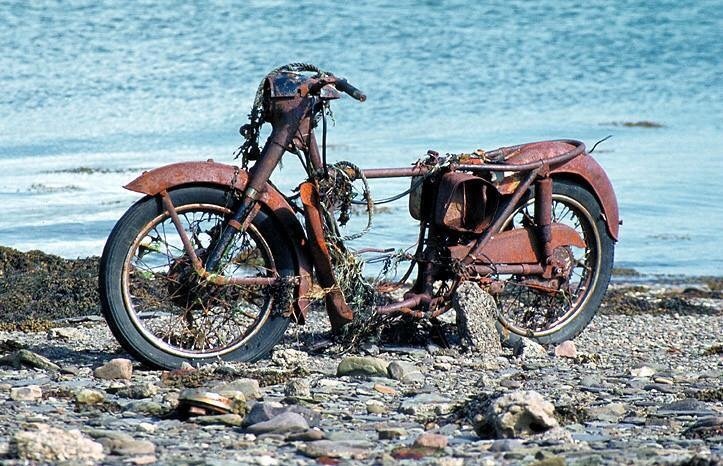 This old sea-dog of a Triumph Cub rests on a pebble beach after some marine journey. The engine, tank and seat must have been liberated by Poseidon, though the tires may have given some buoyancy ‘neath the waves. 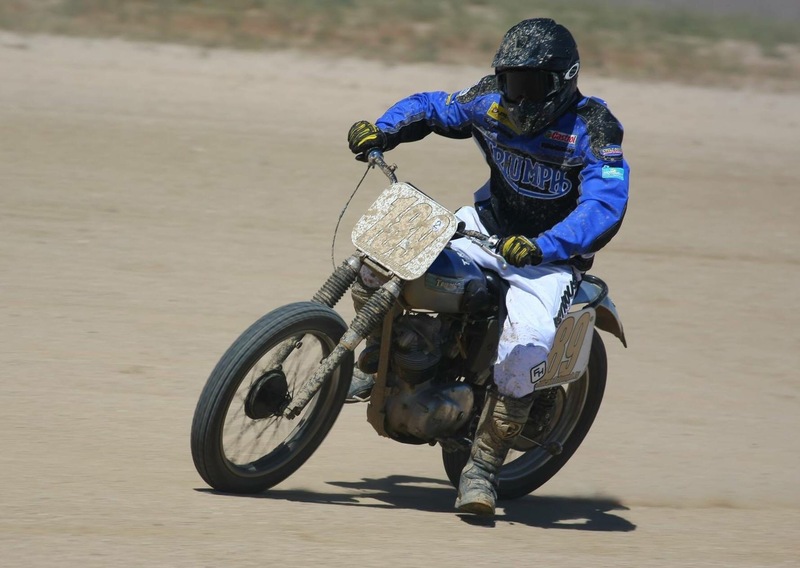 Flat Track – oval dirt aboard a stout tire’d Triumph Cub. Steel toe down on the inside bends and a death grip on the bars. Wrong the throttles neck and hold on!